Somehow, some way, they have to touch my heart and remind me of an emotion I thought I’d forgotten. There are lots of ways picture books can do this. And that’s part of what makes reading the good ones so much fun. 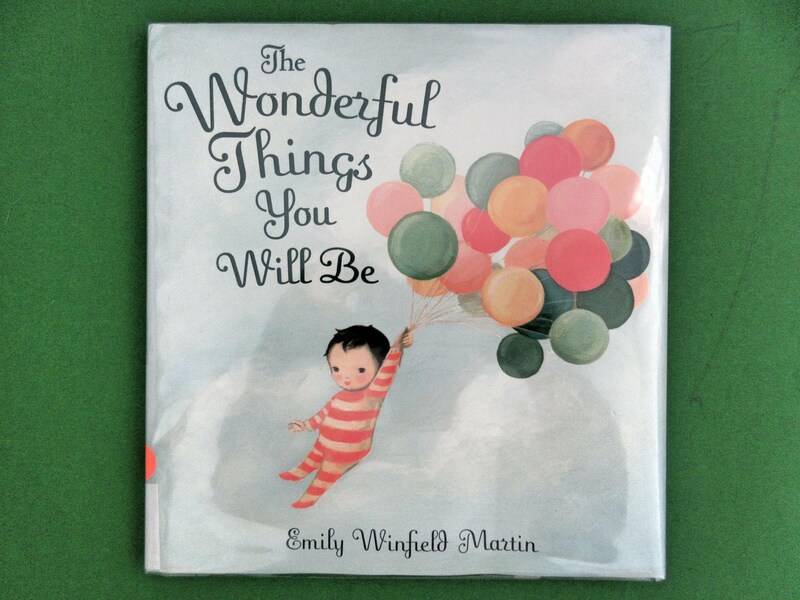 One of the good ones is THE WONDERFUL THINGS YOU WILL BE, written and illustrated by Emily Winfield Martin and published this year by Random House. It has the “Awww” factor in spades. And, if you are the sort of person who likes that sort of thing, this is the sort of thing you will like. First, the plot. 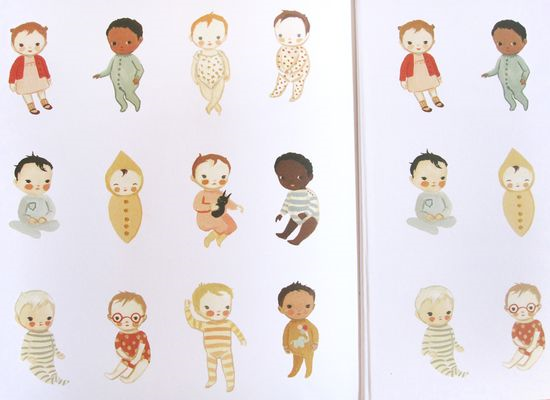 The book is told from the view of a parent imagining what a child might grow up to be. It’s the hopes and dreams any parents might have for children they love. What parent or expectant parent or grandparent wouldn’t turn to mush reading that? I almost teared up in the bookstore aisle, and I have two teenagers. This book is a great gift for baby showers or first birthdays or baptisms or naming ceremonies. It’s soft, it’s warm, it’s sweet. It’s classic, ideal baby love in its most pure form. And the parents and children that fill the book are a wonderful mix of moms and dads, boys and girls, infants and toddlers and school-age kids. (All impeccably dressed, I might add. Flipping through the pages was kind of like being inside a mini-boden catalog, which my kids are now too big for, which causes me occasional moments of great sadness.) The colors are soft and nursery-like except for a lovely, red, fold-out spread in the middle. Ultimately, this book is an ode to the universality of parental love and hopes and dreams. Yes, sometimes you need a funny dinosaur book or a book about the various ways sharks have killed unsuspecting swimmers or a book with jokes about bodily functions. But other times … other times … you need this. Buy it. Keep it. Read it. Save it. And, when your precious, downy baby becomes a milk-spilling, trash-trailing, germ producer who asks, “Why?” 82,713 times a day, lock yourself in the bathroom and read it again to remember why parenting is worth it. Thank you to everyone who commented on my SHARING THE BREAD post for a chance to win a copy. The free copy goes to Maria Gianferrari! Congratulations and happy reading! Awww, Emily Winfield Martin, Pat Zietlow Miller, picture books, rhyme. Bookmark. Thank you for sharing this title. It sounds perfect for my new grandniece. Look at those babies. Here it comes . . . Awwwww. I discovered this title on Amazon yesterday and requested it from the library. Your enthusiastic endorsement makes me even more excited to read it. Thanks. This one does sound sweet. I will definitely check it out. Thanks. Thank you. Can’t wait to pop over to Amazon to buy it. I’m heading to the library later this morning, and this book is on my list. I love books that touch my heart, which is why Sophie’s Squash is on my picture book shelf. The illustrations look so sweet! Love the stanza you shared too! The artwork is wonderful! Thank you for pointing out a great book for me to search out at the bookstore. Sheesh, it only took that one stanza to make me go, “Awww.” Can’t wait to see the entire thing! 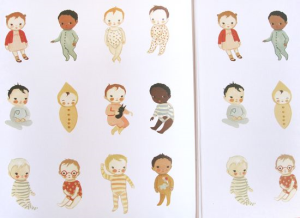 This is another picture book to love! Loved your review. Had to read the last three paragraphs aloud to my hubby for a laugh. Thank you. So sweet! I’m ording this for all the new babies that are joining our family in the next few months. A warm fuzzy! Love it! Awww, I love your comments about this book. I’ll have to look for it. I love this book for all the reasons you said! 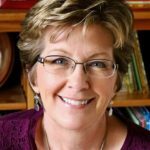 I recently used it and two of your books, Pat, in two picture book workshops I gave recently. Definitely awww-inspiring. Thank you, Denise. For commenting and for using two of my books! I appreciate it.